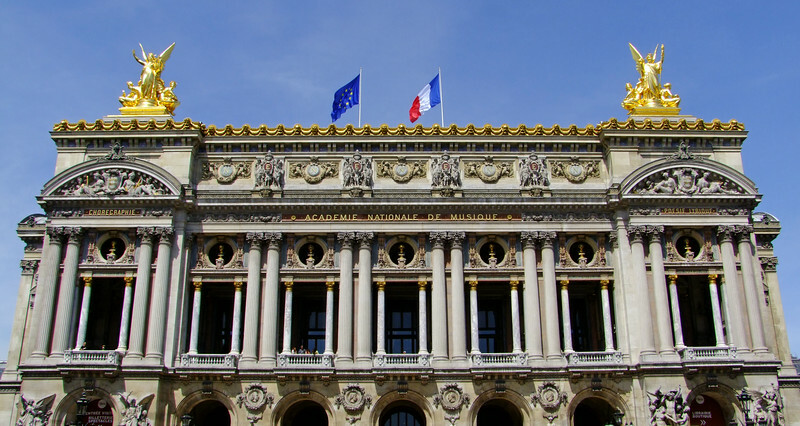 A Paris highlight is the Opera Garnier (Paris Opera House) because it is so beautiful. It is no wonder it is one of the most beautiful opera houses, if not buildings, in the world. Art abounds on the walls, ceilings, floors, staircases, box seats - literally everywhere! It was designed by Charles Garnier and completed in 1875. What an amazing sight! Front of the Opera Garnier (Paris Opera House). It was designed by Charles Garnier and completed in 1875. It is one of the most beautiful opera houses in the world.